To mark the launch of its first-ever fully waterproof, soft rain jacket, outdoor clothing brand The North Face is partnering with US rock band White Denim and Spotify to release the first-ever weather triggered song. 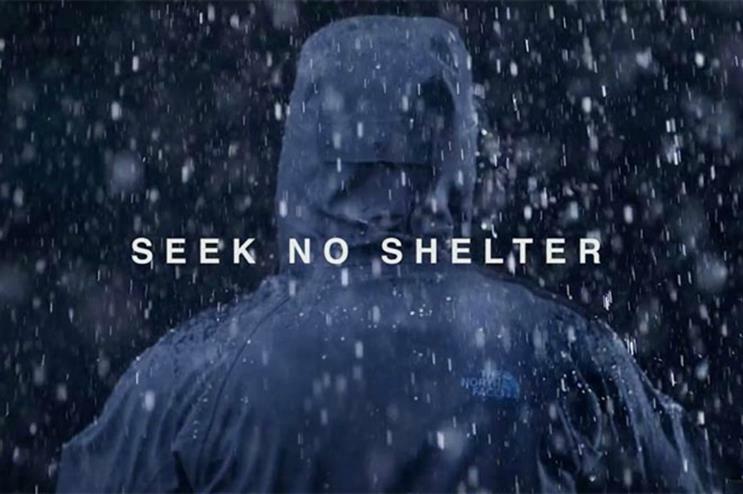 The activity is part of The North Face's new campaign, inviting customers to embrace the outdoor elements and 'Seek No Shelter'. The song will be released exclusively on Spotify only where and when it is raining and marks the first time a song has been released through the use of geotargeting technology. White Denim will live premiere the bespoke, weather-inspired song at the South West by South West (SXSW) festival in Austin on 16 March at The Fader Fort, in an immersive experience. The stage will be transformed into the eye of a storm while the band performs. Fans will also be able to take part in a sensory experience recreating the look, feel and sound of a storm with cool air, mist and the smell of fresh rain. Tom Herbst, vice president of marketing at The North Face said: "Our entire brand is based around the idea that adverse and changing conditions aren't just to be tolerated, they are what shapes a great life lived outdoors. For this campaign, we want to change the way people think about rain – as not something to hide from, but something to be sought out and celebrated. Dropping a song only when it is raining is designed to delight, inspire and mimic the same sense of anticipation and excitement that you have when heading into the wild." Further out-of-home activations nationwide will support the campaign and fans can also visit Seeknoshelter.com to unlock the single and listen to the 'Rainy Day Playlist' curated by The North Face. In January, The North Face brought its Mountain Athletics training activation to London, after staging similarn workshops in cities across the USA. Last year, The North Face hosted its inaugural Mountain Festival, set in Lauterbrunnen, at the base of the Eiger, one of Switzerland's most iconic peaks.